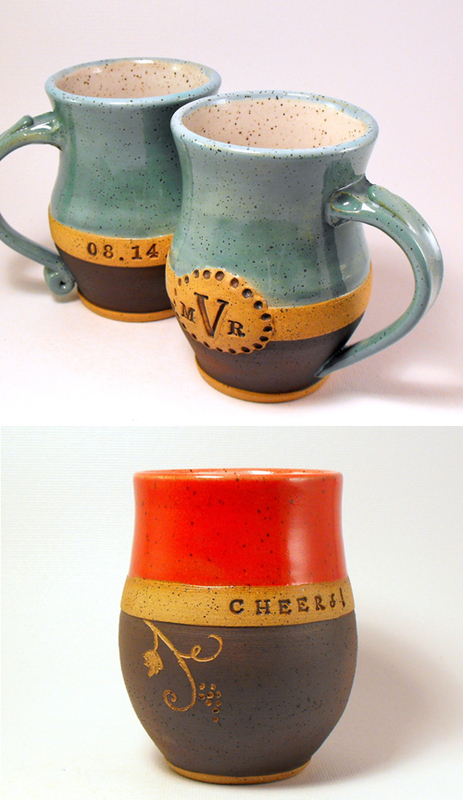 Adorable custom mugs from Mud Pie 2 in Durham, SC. I love the colors! I think those would be great for an anytime gift too! Thanks for sharing! the red and charcoal is so lovely together! what a great gift that would be. It's Durham, North Carolina. :) Important difference, if you're from one of those states (I am). I HAVE to purchase these for my friend who just got engaged. Not only will she love them, but she went school in Durham :) Thanks for the great find, as always! love the vintage feel and colors of these. great find! LOVE. Those are great. Great find! Mackenzie, I just found your blog searching for paper flowers. And then I was sucked in. To everything on here. Great stuff. Hey these are pretty neat wedding gift ideas.Unique, decorative and I like the idea that it can be customized.Great post!